As an important hub for growth in China and around the world, Shanghai is seeing rapid demographic change, increased wages and rising quality of life. AS with other cities that have become such important hubs for growth in China and around the world, Shanghai is seeing rapid demographic change, increased wages and rising quality of life. When citizens become more prosperous, they have more to protect, while their goals and aspirations for themselves and their families grow. The challenge is how to help them plan for their futures and protect their newly found wealth. Shanghai has a vibrant, growing middle class, but it also has an ageing population, with the average life expectancy in Shanghai exceeding 83 years in 2016 — one of the highest levels in the world — and 4.4 million people over 60 in 2015 projected to rise to 6 million by 2025. In many ways this is a remarkable achievement, but it means retirement savings and pension planning will be an important part of Shanghai citizens’ ability to be financially independent and live comfortably in retirement. Success in doing so will reduce their reliance on government to support them in their old age, which in turn frees up scarce public resources to invest further in public services and infrastructure. It will be important government and business work together to support a more sophisticated pension and savings market, where customer choice is not limited to short-term investment schemes offering high returns, but is expanded to include well-managed, long-term products and services that provide stable returns for their savings in retirement. This will help address the current retirement savings gap — estimated to be the second largest in the world and forecast to grow to US$119 trillion by 2050. Encouraging the provision of such genuine long-term products will have additional benefits for financial markets and local governments, since it will require a shift in risk management and asset investment profiles. Helping people to de-risk their lives, save for their future, and have sufficient income for their retirement is one important function of a business like Prudential. We take customers’ savings and match them with a portfolio that provides long-term returns. In doing so, we can play an important role alongside government and municipalities in investing in the real economy of a city, helping to provide the foundations for future growth and prosperity. Infrastructure is an important component of this investment approach, from energy and transport infrastructure to digital networks, hospitals and affordable housing. With the right regulatory frameworks, the encouragement of long-term insurance and pension fund finance into such assets can help reduce the pressure on scarce public finances and provide some of the social utilities that help a city to thrive. Building the right environment for sustainable savings and investment will help contribute to Shanghai’s continued growth and prosperity, which in turn will support the achievement of its goal as a global city. Linking this all together will be Shanghai’s connection with international markets and businesses, promoted by measures in Shanghai and at a national level to develop capital markets through steady reforms and opening up. There is no silver bullet or magic wand to creating a global city — many factors come into play: a continuous, rigorous focus on the liveability of the city, a competitive business environment, sound legal frameworks, underpinned by investment in the people and institutions that help a city run on a day-to-day business. But no city can realize ambitions of being a global city without being open to people, talent and ideas from around the world. 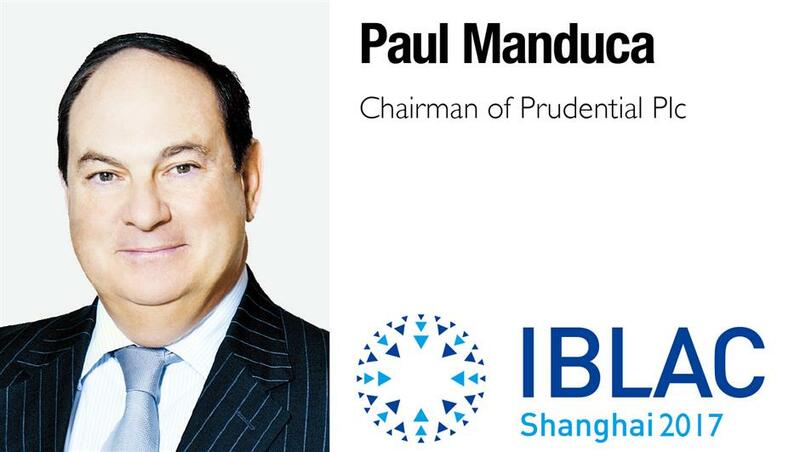 The agenda for this year’s IBLAC should enable a rigorous exchange of ideas and views from around the world to help Shanghai realize its ambitions, and for international businesses to better understand how we can contribute to Shanghai’s goals.